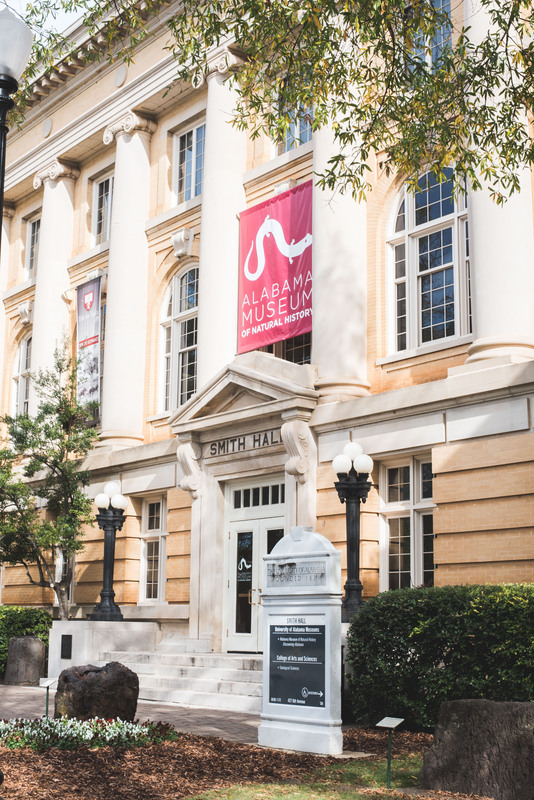 The front door to Smith Hall, home of UA Museums and the Alabama Museum of Natural History. Open Monday–Saturday 10:00 am–4:30 pm; closed on all University of Alabama holidays.  Open Monday–Friday 9:00 am–12:00 pm and 1:00 pm–4:30 pm and by appointment; closed on all University of Alabama holidays. Open Tuesday–Saturday 10:00 am–4:30 pm; closed for most major holidays. Park grounds are open daily from 9:00 am to dusk. Jones Museum is open daily from 9:00 am to 5:00 pm. ; closed for most major holidays. Open Monday–Friday, 9:00 a.m.–5:00 p.m.; First Fridays, 12:00–8:00 p.m.